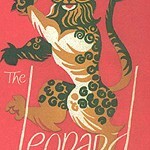 I read The Leopard before discovering it was Nick Clegg’s book choice for his desert island (honest)… which is probably as well because this is the story of a corpulent, indulgent prince (Don Fabrizio Corbera) who presides over a declining kingdom, recognising that he represents an old order incapable of initiating the change he knows is both inevitable and right. Perhaps, then, Nick identifies better with the prince’s wayward nephew, Tancredi, an ambitious man of action who joins Garibaldi’s Risorgimento… though he does so the better to protect the establishment — “If we want things to stay as they are, things will have to change” — which doesn’t sound much like Nick to me. As for Tancredi ending trapped in a miserable marriage, well, let’s not go down that hypothetical metaphorical route. Tancredi had originally planned to marry Concetta, Fabrizio’s daughter, but a misunderstanding sparked by her jealousy causes her to spurn him once too often, and he forsakes her for another. Only in the final, melancholic chapter does Concetta realise her mistake, how her misjudgement condemned both of them to loveless lives. Always better to put pride to one side and risk coalition, I guess. Perhaps [Nick Clegg] may identify with Tomasi himself? 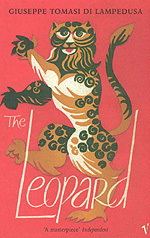 The Leopard was turned down by publishers fearing a scandal in Tomasi’s lifetime. When the book was published in 1958, the year after Tomasi’s death, it lived up to the publishers fears. From the left the book was accused of smearing the progressive achievements of the Risorgimento. From the right it was attacked for its depiction of desiccated nobility. Clegg would certainly recognise that situation. Whatever the imagined reasons for Nick liking it, The Leopard is a sad, gorgeous, sensual, reflective, elegiac masterpiece.